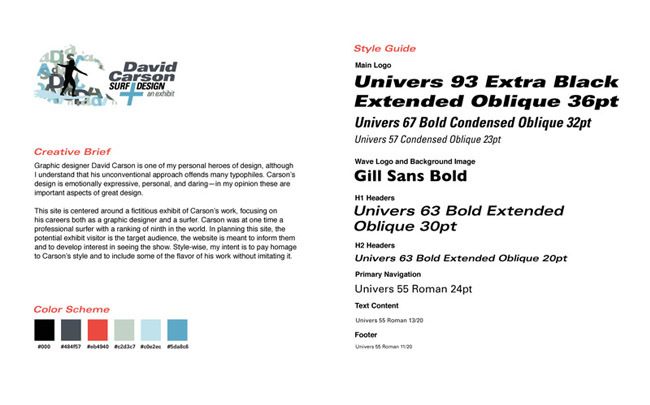 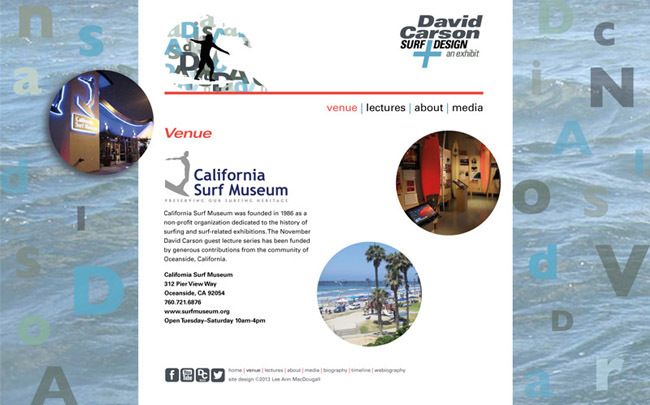 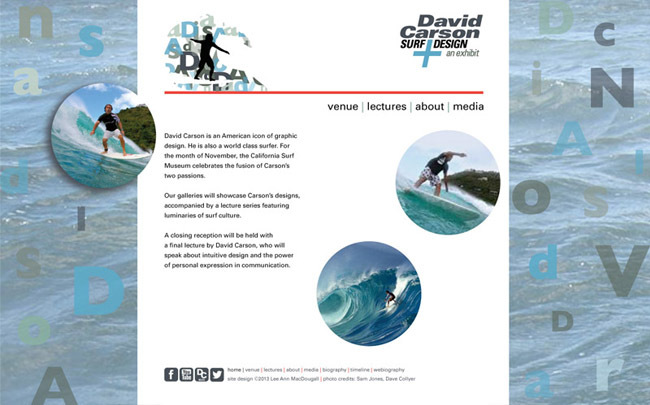 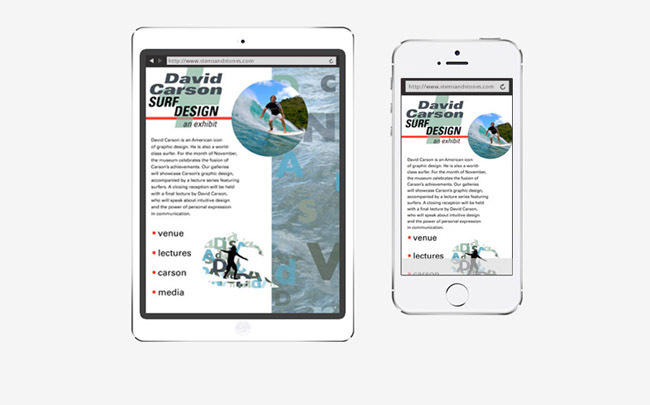 A planned website for a fictional museum show about the work of David Carson, one of my favorite designers. 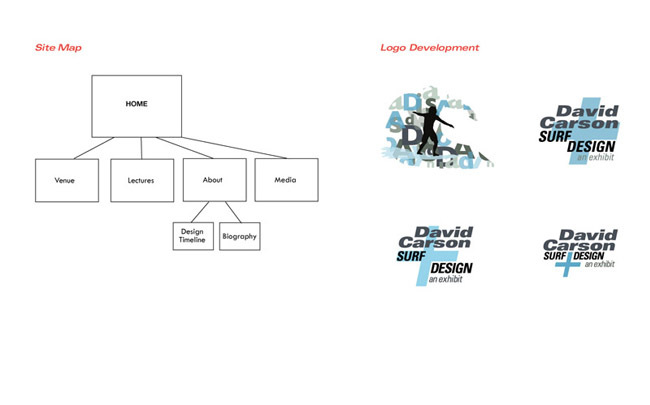 The purpose of this site is to inform people about Carson in order to develop interest in the exhibit. 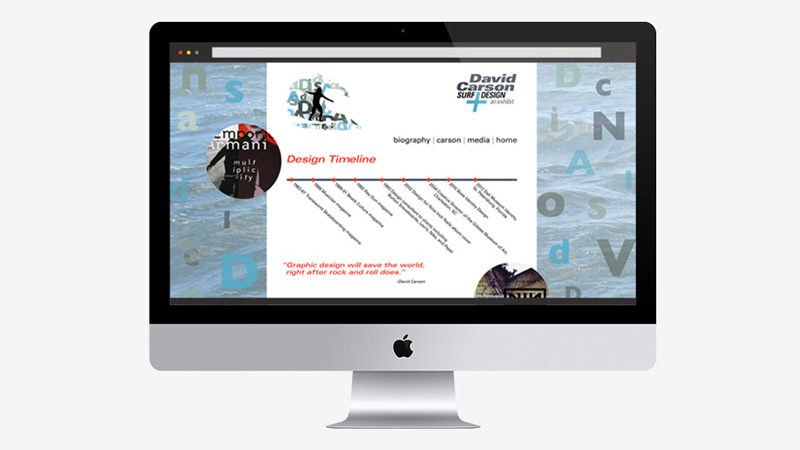 These images include process materials, original illustrations and mockups created in Adobe Illustrator and Photoshop.